In A Kingdom of Stargazers I analyze the nebulous and tendentious practice that astrology occupied within the culture of the later Middle Ages, a period characterized by profound and multiple crises. Apocalyptic rhetoric and imagery were rife within fourteenth- and fifteenth-century European society, as people sought answers to the various crises they faced, and astrology, which could be used in their attempts to divine the course of future events, was just one way for people to make sense of these uncertain times. However, due to the fuzzy quality of astrology, as it was a discipline that overlapped the realms of science, magic, and faith, of heresy and orthodoxy, such an interest was deeply problematic. I divide my book into two halves. The first half sees me investigating the liminality of astrology in the Middle Ages to ascertain why exactly it was so contentious and problematic. The first chapter regards what traditional authorities, such as the fifth-century Augustine of Hippo or the thirteenth-century Thomas Aquinas, had to say about the nature of astrology and divining the future and how their positions would be important for later critics of astrology. The second chapter regards the rhetorical strategies used by medieval critics to denigrate people’s interest in astrology, by which they sought to portray those devotees as foolish or simple. 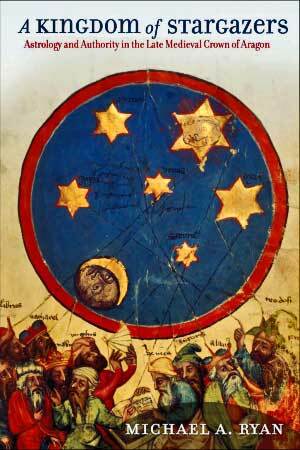 In the third chapter, I look at contemporary medieval Europeans’ perceptions of Iberia as a land of magic, due to the plethora of Jewish and Muslim intellectual centers throughout the peninsula that produced sidereal texts in great numbers. The second part of the book uses the Crown of Aragon, the capital of which was Barcelona, as a case study because it was a center of astrological and astronomical text production during the later Middle Ages that grappled with the problems plaguing the rest of Europe. I tie together the themes I bring out in my book’s first half to show how they resonate within the Crown of Aragon in particular. Chapter four looks at one particularly strong king, Peter “the Ceremonious,” and how his interest in astrology and astronomy did not raise an eyebrow, due to his traditional ways of applying monarchical authority. This was in contrast to his son, John “the Hunter,” who preferred astrology and magic, trendy fashion and music, to dealing with pressing political and theological matters, thus earning him significant criticism. The sixth and final chapter sees the ascension of a particularly pious king, Martin, the younger brother of John, to the throne of the Crown of Aragon and how he distances himself from the perceived excesses of his older brother’s court. In my epilogue, I take such recognizable figures as Christopher Columbus and Ronald Reagan, separated by centuries, to show how the medieval themes I brought up resonate into the early modern and modern eras alike.